Richmont Gan, mechanical illustrator for both Mobile Frame Zero 001: Rapid Attack and 002: Intercept Orbit sent me these pictures the other day, of a Lakota-themed Free Colonies commander and his Hi-Leg mobile frame. He declined a licensing fee, so I’m donating his usual fee to Standing Rock (you should too! Link is in the upper right) and, because Richmont never charges me enough, I’m matching his donation. Well, I hope we can all forgive and forget the pacing monstrosity that was 0.2! A much smaller number of tactical assets on the table at once. That should reduce the time of play down to more :RA-like duration. Boarding rules that fit more tightly with the general techniques of the game and make boarding less of a sure thing. Rules for high maneuverability are moved to small (<4 system) ships, rather than double green. Double green might still be worthwhile, though. The rule about A-range weapons damaging boarding companies makes sense, but might wind up being too costly. This is a playtest problem to solve, though; it has to do with how it moves around player motivations. 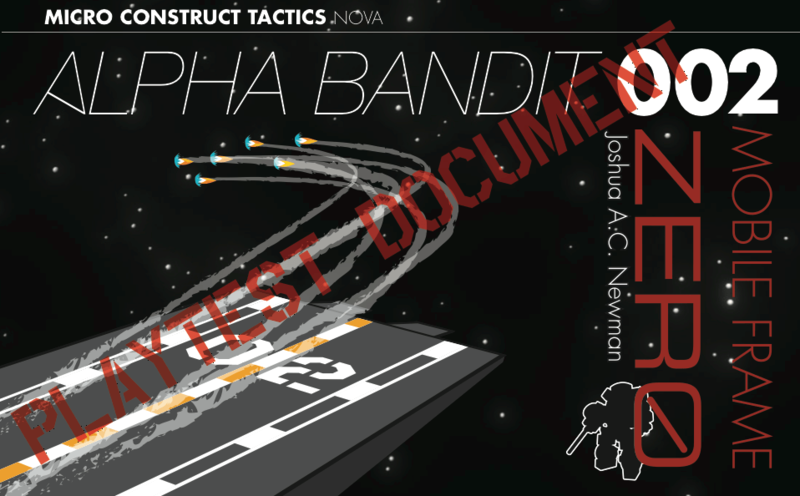 Mobile Frame Zero: Alpha Bandit Playtest is GO for Launch! Want me to mail you a copy of the super-limited edition of playtest docs that I printed out for the Metatopia 2013 game design convention? I’m happy to answer questions and discuss solutions in the comment thread below, but I’d imagine most of the action will be over at the Mobile Frame Hangar thread! 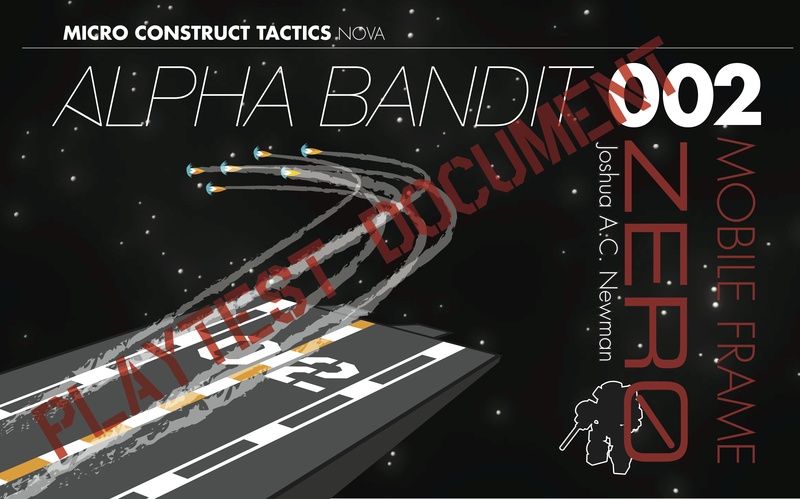 Author Joshua A.C. NewmanPosted on November 5, 2013 August 6, 2015 Categories Mobile Frame ZeroLeave a comment on Mobile Frame Zero: Alpha Bandit Playtest is GO for Launch!